Mental Health: NLP helped me, it can help you! Mental Health: How NLP helped me and the solution it can offer you too! 1 in 4 people in the UK will experience a mental health problem each year according to Mind . Worries about things like money and jobs can make it harder for people to cope. 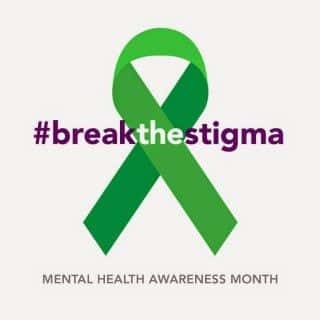 There are many types of mental health problems ranging from anxiety, depression, PTSD, Phobias, and Panic Disorders. Work takes up a huge amount of our lives and a study suggests that 45 million work days have be lost due to stress, anxiety and depression over the last 3 years (an increase of 25% in just the last 12 months). Work is something commonly cited as causing stress. In the workplace employers are encouraged to tackle the ‘root causes’ of mental health problems and take steps to remove the stigma of talking about it. Many employers still measure the cost of absence and time lost due to employees being away from work, costs of labour turnover and ill-health retirements – yet fail to make the connection that this money could be spent more effectively in a preventative capacity (and they could probably support more people more effectively by redirecting resources in wellbeing). Employee Assistance Programmes (EAP) are a fairly standard offering these days – but staff don’t really seem to use them and line managers are urged to have more rounded catch-ups with employees so that it becomes the normal to talk about ‘mental health’ challenges such as stress or anxiety. However many line managers I’ve worked with are worried they don’t know what to do if someone comes to them with a ‘mental health’ problem – in the mind of the manager it’s a scary prospect – “what do I say or do – I don’t want to get it wrong or make it worse!” (often they don’t realise that sometimes all it takes is a friendly chat over a cuppa to help the person who’s in the ‘grip’ or can’t ‘see the wood for the trees’ or needs help prioritising or saying ‘No’ etc). Managers who have been taught some NLP techniques like strategies for managing emotions, managing overwhelm, how tailor your communication to the person your talking to, etc, can make a real difference quickly when they share these with team members on the spot at the moment there are the first signs someone needs support. Early intervention is often the best way of supporting people. The NHS reportedly spends only 11% of its budget on mental health, which many argue does not put mental health on an equal footing with physical health. Someone I know recently received counselling on the NHS through their GP practice – he had 6 sessions and of course the problem was not resolved in 6 counselling sessions – but that’s all the NHS would fund. Cognitive Behavioural Therapy (CBT) is another favourite on the NHS – but from people I’ve spoken to it appears to deliver inconsistent results (some says it really helped them and other felt at the end it had made little difference) – so why do the NHS spend money ‘prescribing’ things that deliver, at best, inconsistent outcomes for people? (ok – rant over!!!!) – What’s the difference between Counselling, CBT & NLP – check out my experience here). Many years ago when at university I suffered with stress & anxiety over my final year exams, I put pressure on myself to get a first class honours degree – which I did, but at a personal cost – I wasn’t sleeping, lost my appetite, would push myself soooo hard, work long hours, stopped going out as much, exercised less etc. Mental Health was not talked about back then, but I knew how I felt wasn’t right (as did my worried parents who had me in tears on the phone in the middle of the night!) – the GP gave me some tablets & I was referred to a University counsellor who tried to help – on the plus side, hours away from home, it allowed me to talk to someone independent, but did it get rid of the underlying issue? – unfortunately not. I was lucky I have a very supportive family, who gave me practical ideas and advice about how I could get through – e.g. only studying for 60 minutes at a time before having a 15 minute break. I got through it and on with life and started a successful career in HR. The situation was this time compounded because I had a Fiancee at home who struggled with me being away and then unexpectedly my father-in-law (whom I was very close to) was told he was dying from Cancer. My Fiancee and I desperately wanted him at the wedding and with the huge support of a best friend, the wedding was arranged and we’d returned from Honeymoon before he passed away. Around the same time I had health complications which led to me being warned I might have Ovarian Cancer (after various scans and test they said it wasn’t, however I was diagnosed with a server case of Endometriosis). I became anxious and depressed about life and worried about not being able to cope. Then I mentally feel over – I couldn’t cope, the mask fell off and I couldn’t hide my struggles any more. I was referred for CBT (I didn’t want counselling after my experience before, but thought, if the GP was recommending CBT then I’m happy to try it). CBT gave me a framework to use in the grip of the moment – in my case however that ultimately felt like another sticking plaster, why should I have to cope – I wanted it sorted! (but I wasn’t aware of any alternatives that might be better for me). It was then NLP (specifically Time Line Therapy™) that actually fixed the underlying issues for me (the underlying strategy and patterns of behaviour that were being run by my unconscious mind that always lead the same specific outcome). Can NLP help with improving people’s Mental Health? Behaviour, thoughts and feelings are driven by the unconscious mind – it’s our unconscious mind that runs the strategies or patterns of behaviour that run every second of every day – most of them you’re not even aware of (for more details check out this blog all about the unconscious mind). The thing with NLP is that we look to change things at an unconscious level, which for most people are permanent (vs. CBT and Counselling which work only with the conscious mind which means the change is harder, is less effective an takes much longer). The thing that I didn’t realise until I studied NLP was just how intrinsically, automatically and unconsciously linked our thoughts, feelings and our physiology are – so many things in our unconscious mind happen automatically – well formed (often unhelpful) patterns of behaviour run away with us, and the output is how we feel, act, our thoughts etc – before we know it we’re in a ‘right state’ (read my happiness blog for further ideas around this). When I used NLP, my thinking was changed within a session and it didn’t slip back to old ways. On my NLP Practitioner course I also had a taster session of Time Line Therapy (which some describe as an advanced form of NLP) – this was revolutionary for me and is amazing for people suffering with anxiety and/or depression. Check out my website for more on Time Line Therapy, but in short it’s a process of getting rid of negative emotions, a process of taking learnings and removing limiting decisions. I now give all my NLP Practitioner delegates a taste of Time Line Therapy (as well as offering qualifications in Time Line Therapy for those that would like to use it with others). So in conclusion, can NLP help? – most definitely, it helped me and plenty of other people like me. If you run your own a company or are a Leader with responsibility for Wellbeing at Work, you might be interested in our 90 minute workshop to help your colleagues more Effectively Manage Stress and Pressure at work. If you’d like to learn more about our unique workshop (already delivered many times in-house for organisations) get in touch. We’ll happily share our workshop outline with you and if you’re interested in us running this in house for you, we’d be delighted to do this.